This book analyzes human behavior from an individual and organizational perspective. Based on cutting-edge research, each chapter is focused on modeling human behavior in different fields and taking into account uncertain environments by applying innovative quantitative and qualitative approaches. This book deals with the decision-making process of individuals behaving as economic agents who consume, save, produce and invest, but also with organizations such as families, firms, public entities and even countries. This book comprises a wide spectrum of contemporary topics. Each chapter challenges the reader by the approaches employed, providing insight into the pillars of western societies: Sociology and Public Health, Economy and Finances, Medicine, Architecture, Archeology and Engineering. 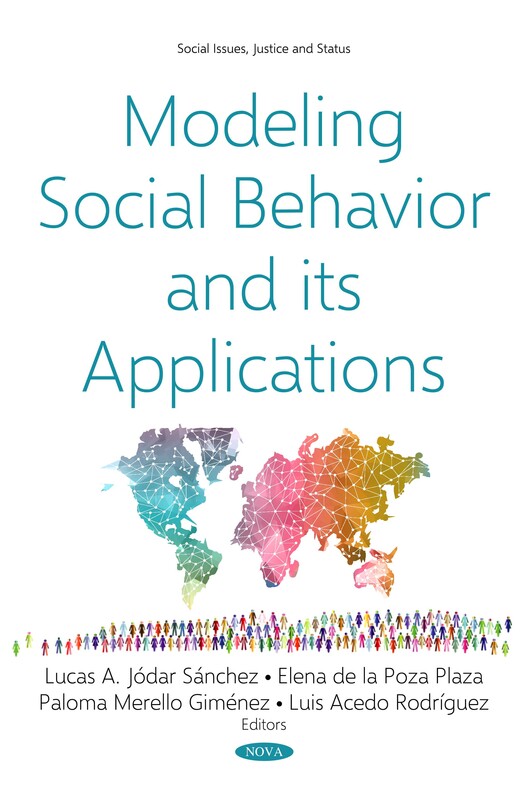 Modeling Social Behavior and its Applications deals with trendy issues and provides answers to socio-economic dilemmas. and an analysis of data of twitter use. The models covered go from mathematical models with equations used to represent the simplified reality to statistical models with correlation and data analysis and fitting to others which reduce all the possible factors involved to a few considered the most relevant. All the chapters used real data to validate the model, have a description of the methods used and have a good set of references. The book is a very useful introduction to a wide range of topics and the interested reader can then use the references provided to get a deeper insight into the topic and adapt the methods and ideas presented to other subjects.